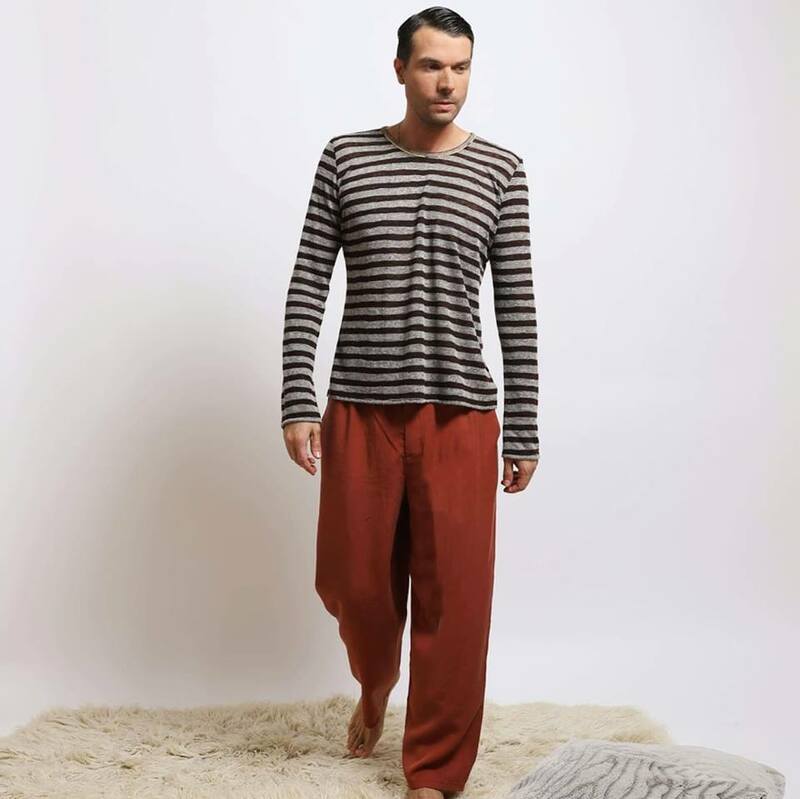 Returning to our origins and considering that one of JULYTWO designers’ , Konstantinos Stefanou birth island is Lesvos ( Mytilene), one of the most beautiful Greek islands, was a great inspiration of our “Pyjamelia” collection, where as originally called “Pyjamas”. 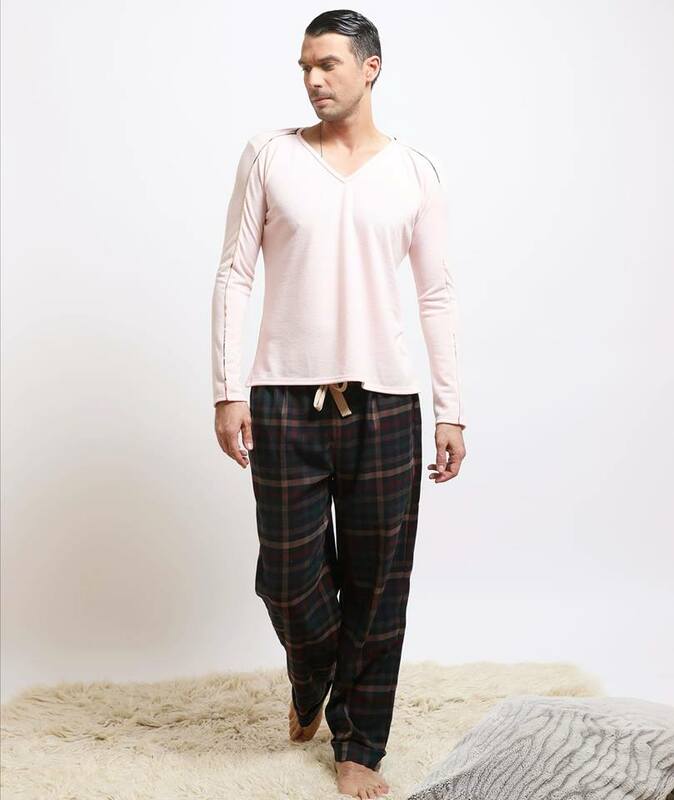 Our ‘Pyjamelia’ capsule collection started of as a mens homewear collection, which eventually turned out to be a beautiful unisex collection, for girls that also want to feel cozy and comfortable at home with their over sized and warm outfits. The fabrics are mainly 100% cotton or 100% viscose, very warm, smooth and in simple yet detailed shapes and designs. The colors are in a very serene palette consisting mainly of beige, pale pink and blue tones, just bringing you into the warmth you need once you are at home. The lines and patterns are very comfortable and for those who want to feel ‘loose’ and relaxed, our “Pyjamelia’ collection can easily be worn everyday as casual outfits. “Pyjamelia” collection is also considered as a perfect gift for our loved ones since they can be worn from both girls and boys.